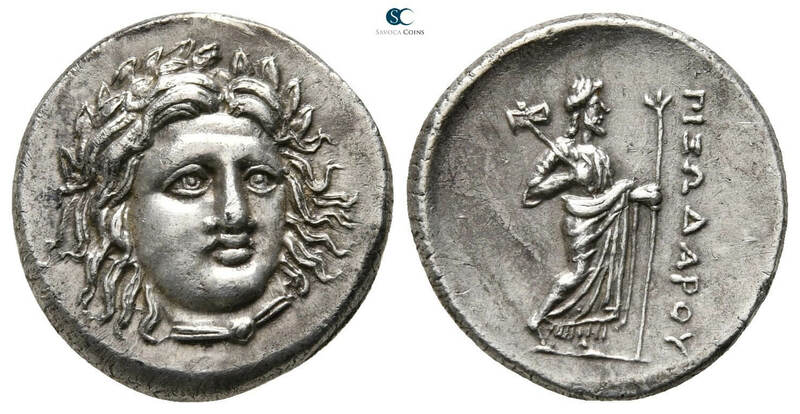 Silver Auction 32 of Munich-based auction house Savoca Coins is online. Absentee bids for the 32nd Silver auction can be placed until 14 April 2019 when the live closing is going to start at 6pm CEST. Lot 30: Kings of Macedon. 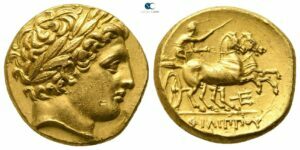 Philip II of Macedon, 359-336 BC. Stater, circa 340-328 BC, Pella. Extremely fine. Celtic, ancient greek, Roman provincial, Roman republic, Roman empire, Byzantine, mediaeval, islamic and world coins. Lot 121: Satraps of Caria. Halikarnassos. Pixodaros 341-336 BC, Drachm. Extremely fine. Lot 583: Maximianus Herculius, AD 286-305 (first reign). Antoninianus Billon, circa AD 286-294, Ticinum. Good very fine. Lot 665: Theodora, AD 1055-1056. Histamenon Nomisma, Constantinople. Extremely fine, double struck on reverse. All lots can be viewed in the Savoca office by appointment. For more information on Savoca Coins go to the company’s website.